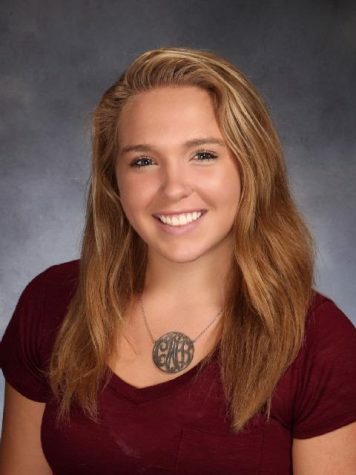 Chloe Williams is 17 years old and a Senior at West Morris Mendham High School. Chloe considers myself to be very outgoing, confident, selfless and affectionate. In addition, she has been characterized as a "mom" to most who have met her as she is constantly "babying" everyone and putting others before herself. Chloe has a younger sister who is a freshman at Mendham this year, named Emma. Emma is her ride or die, although she may annoy Chloe 90 % of the time, Chloe would have no clue what to do without her in her life. Chloe's parents Michael and Anne Williams have been and will continue to be the most positive influences she has in her life. Collectively they are two people she strives to image every day through the type of person she is and the actions she takes. Chloe has two dogs, Bo and Cali who are the cutest, dumb dogs anyone has ever met. Chloe was born in Boston but spent most of her childhood in Northern and Southern California. Being from Boston she tends to find herself cheering for teams that are considered enemies in New Jersey i.e. The Celtics, Boston Red Sox, and The Patriots.